Lewis Hamilton and Nico Rosberg finished the United States Grand Prix in fourth and ninth places respectively today. 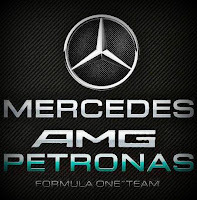 Lewis executed a controlled and well-managed one-stop strategy, running option/prime and stopping on lap 25. Nico also made just a single stop, pitting on lap 22 and also running option/prime with a 34- lap stint to the finish. The pit crew delivered flawless stops with pit lane times of under 24 seconds for both drivers. 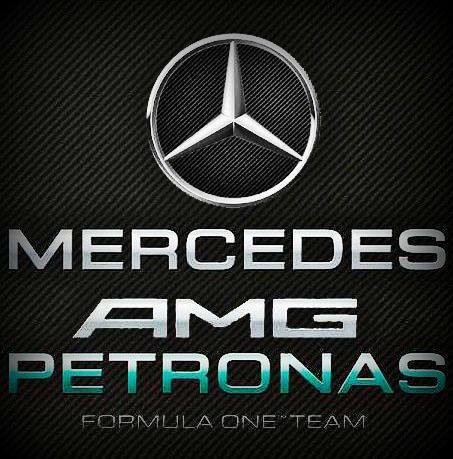 The team scored 14 points and is now 15 points ahead of Ferrari and 33 ahead of Lotus in the Constructors' standings. Lewis Hamilton: That felt good out there this afternoon and I'm really happy with fourth place. It was so nice to have a race where I could fight for position and make progress. The car felt much better today than recently so the change in chassis has definitely made a difference and a big thanks to my guys in the garage for their efforts there. I had a great start today and that was crucial to my race. We had to give up third place to Mark fairly easily to make sure our tyre management and strategy worked as it was more important for the team to finish ahead of Ferrari. There was no way I was letting Fernando past at the end; I was ready for him to make his move and had a couple of tenths ready to pull out if he did! We've had a few difficult races on my side of the garage and I'm so proud of the team for all the hard work they have put in. We're all determined to maintain our second place at the final race in Brazil next weekend. Nico Rosberg: I didn't have a great weekend here in Austin unfortunately. It really started yesterday in Qualifying where I struggled with getting temperature into the tyres and starting from 12th place makes your race really difficult, especially in a one-stop race. I made some nice overtaking moves but we weren't able to do much with the strategy today because of the single stop so it's disappointing to only have finished ninth as our car was quicker than that today. Overall though, as a team we managed to increase the gap to Ferrari and that's a good result. After such a tough weekend, I'd love to be back in the car in Brazil tomorrow and not wait another seven days! We'll be pushing really hard there to end the season on a high. Ross Brawn: That was a pretty good race this afternoon with the car we had today. It was very definitely a managed race rather than one where the drivers could push flat out. Lewis made a fantastic start but it then became clear that trying to hold Webber behind would not help us in our quest to run a one-stop strategy, which was essential. The car was not bad and both drivers had a pretty good balance, given the extreme difference in conditions to yesterday. Both Lewis and Nico did a perfect job managing the tyres in the race and their sets of primes were close to the end of their life when they crossed the line, which is exactly as it should be. They put in very, very controlled drives today which allowed us to consolidate our second position in the Constructors' Championship. Now it's time to head for Sao Paulo to finish the job. Toto Wolff: As a single race result, fourth and ninth positions are not what we aim for as a team but in the context of yesterday's qualifying result and of the battle for second place in the Constructors' Championship, we did a solid job. It was a race that needed management and both drivers and the pit wall managed it well today. Lewis opened up his race with a fantastic start and first corner, then drove in a very precise and controlled way, managing the gap to cars behind without abusing his tyres. Nico didn't have many opportunities to move forward given the optimum strategy was a one-stopper and there were no retirements ahead of him. But he took every opportunity that came his way and gained three places. We scored an important 14 points for the Constructors' battle and will now focus on cementing that position in Brazil.